CB: Kevin, first the inevitable question – how did you come to be involved with Frank Henenlotter? Did you actively pursue a role horror movie role prior to working with him, or was Basket Case a happy accident? Basket Case was a happy coincidence. I was studying at the American Institute of Dramatic Arts in NYC, and Ilze (who plays the social worker in the film) was an administrator there and one day she says to me ‘I know this guy who makes movies… you really should meet him’. Frank seemed to like me so I ended up playing three small parts in a movie he made prior to Basket Case called Slash of the Knife. He was using friends and whoever was around, and Frank liked the results of the film because I had studied acting and got on his case to use student actors. You’ll get better results that way and many of us will do it in exchange for a copy of the film – you know, just for the experience. One of the things I love about your portrayal of Duane Bradley is that you make him seem very much a part of you (no pun intended). To what extent do you see yourself in Duane and vice versa? Well, any art form is the combination of the artist, the medium and the subject to varying degrees, and I tried to put as much of me as possible into Duane because that’s what makes it real. That’s what enables me to let Duane connect with other people – the real stuff, the guts and fire. Moving on to the DVD release… In revisiting the trilogy, did you find that your opinion about any of the Basket Case movies overall had changed in any way? Which of the three, for example, would you say is closest to your heart? Oh, the first one. Because of the way we made it, it was more of a family project. We spent months and months and months working together. We’d shoot for a while until we ran out money, then we’d do a rough cut of what we had, show it around and get some more money, shoot some more until we ran out of money again. Ilze would make lunch for the crew, and if Edgar needed an item for the set, we’d jump in his van and drive around the East Village until we found what we needed, y’know? Just making it that way – that alone would do it. Many fans of exploitation cinema still favor the VHS format as being somehow a more ‘authentic’ way to view these types of movies. What are your views on this, particularly now that the Basket Case trilogy is being released in HD? Do you feel that the aesthetic of the movies has been enhanced or even compromised as a result of the transfer? Oh I don’t think it’s been compromised. Each successive version of the latest technology can only help to keep the films alive, but really the ultimate way to experience these movies is on the big screen. 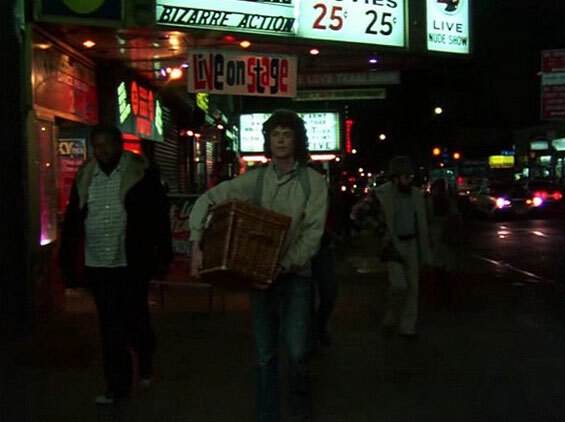 Last year the Film Anthology Archives in Lower Manhattan had a retrospective, which both Frank and I went to, and we got to see Basket Case 2 on the big screen for the first time since it was released, and it was remarkable how well it holds up. The big screen really is the only way to see this stuff. Based on their performances, I get the impression that Beverly Bonner and Annie Ross are both pretty vibrant characters off screen also. What were they like to work with? Oh, both of them are amazing – both very cool ladies. Very professional – fun to be with, fun to work with. I think some of that shows particularly in the bar scene where Bev and I are supposed to be drunk. Hanging out with Annie Ross in Atlanta during the second movie was very cool – she’s an amazing lady. You know she still performs weekly in Lower Manhattan? Yes, Frank mentioned this! I’ll have to check her out. Have you maintained friendships with many of the Basket Case actors since the movies were shot? I asked Frank Henenlotter this question a few days ago and I’m interested to hear your views also. In recent years movies such as Grindhouse and Hobo with a Shotgun have attempted to recreate the style of 70s & 80s exploitation – what are you views on these types of movies and do you think it’s possible to successfully capture the essence of exploitation cinema in the present day? Oh yeah, period films! To recreate a period is really fun, really cool to do. I did a play in Woodstock a few years ago called The Illusion – a Pierre Corneille tragedy/comedy – and we did the whole thing with wigs and boots and swordfighting on stage behind the Bearsville Theater and it was very cool. The difference is that to recreate a period that was hundreds of years ago – you’re actually a little more free because nobody alive remembers this! To recreate something that’s still in the memories of a lot of people is far more difficult because people were there. I’m glad we were able to capture a little of the old Times Square in our film because that’s all gone now. Times Square today is Disneyland. As well as these genre recreations, what are your views on the tidal wave of movies remakes that has gathered so much momentum in recent years? Would you ever consider starring in a remake of the original Basket Case for example? 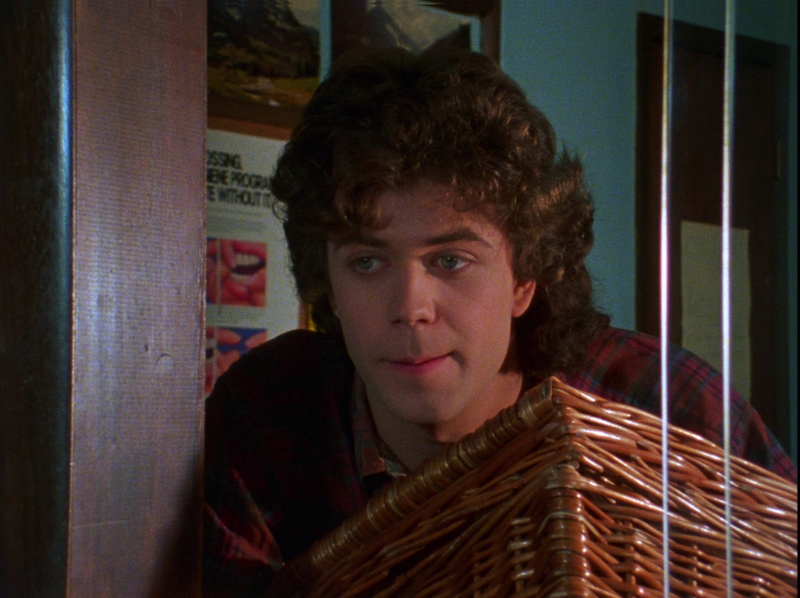 It wouldn’t make any sense to have me star in a remake of Basket Case – it should probably be somebody young, but I would, and intend to revisit the Bradley Brothers at some point. I’ve started a script of my own and Frank has talked about it also, so I don’t think we’ve seen the last of them! Am I right in thinking that the brothers have female counterparts in this script? In my version, yeah, there’d be a couple of sets of twins dancing around in there. I know that for many years now you’ve worked as a professional sculptor. What inspired you to take up the chisel and hammer? When I was still at the academy I went up to the Little Carnegie cinema to watch a Ken Russell film called Savage Messiah, which was about the sculptor Henri Gaudier-Brzeska at the time of WWI. And during the course of the film they show a close up of a real sculptor’s hands working a block of marble and I was so turned on to, and by, a rock as a plastic medium, that was it – that did it for me. 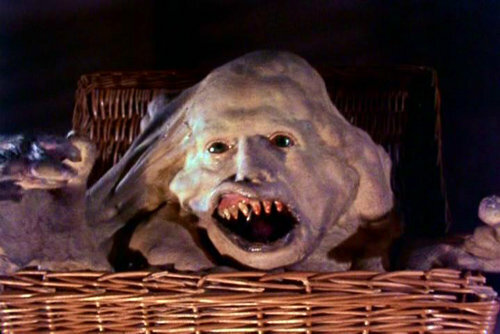 Would you say that any aspects of the Basket Case aesthetic have influenced your work as a sculptor? I actually did a sculpture of Belial, which a crew took pictures of for a bonus reel, so we may well see images of it on the DVD release. 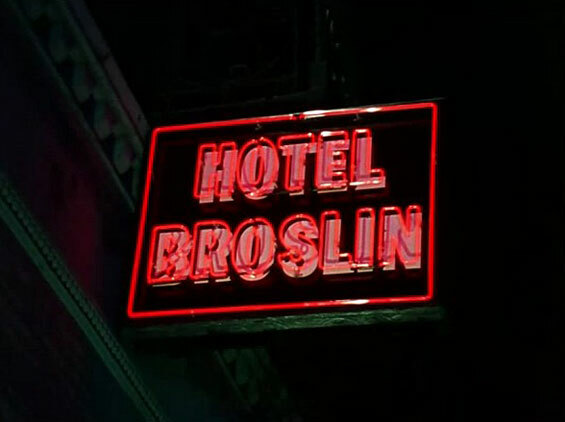 And finally, something I’ve always wanted to know – do you have siblings of your own, and if so, how did they react to your macabre screen brother, Belial? (laughing) You know, they’ve always been patient with their strange older brother! I have both a younger brother and a younger sister who are relatively normal and I don’t quite know what happened in my case. Some genetic mix-up in the womb – who knows? This entry was posted in Uncategorized and tagged Basket Case, Ed Zed, Exclusive, Interview, Kevin Van Hentenryck. Bookmark the permalink.